As the two set off on a journey to the outer worlds, they begin to care deeply for each other, but when Sola reveals her big secret, they two have much bigger problems then their mutual desire for each other. Next thing they know they are being hunted far and wide. When everything is finally laid out on the table, will they be able to move past their many obstacles and just be together? One of my favorite part of Sci Fi Romance books is that the plot is constantly twisting and turning, things are never exactly as they seem, and sometimes the bad guys are really good. 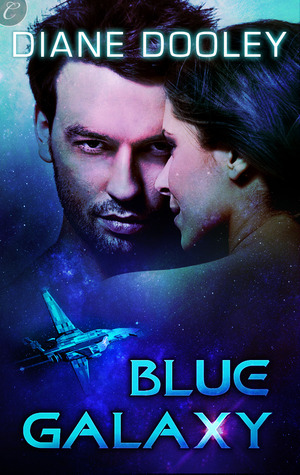 Blue Galaxy has some great twists that I didn’t seem coming, and totally loved. While the blurb hints that there is more going on with Sola than meets the eye, I was completely stunned at her revelation. It was fun and unexpected and a great turning point in the story.